In 1963, Dr. Donald Edmeades, a Pasadena cardiologist, planted grapes in the tiny hamlet of Philo, in the Anderson Valley, making him the first modern-day grower to do so in that remote stretch of western Mendocino County. His son, Deron, began Edmeades Winery in 1972. It quickly gained a reputation not only for Anderson Valley-grown wines, but for lusty, mountain Zinfandels that won gold medals and earned high scores from critics. In fact, Edmeades helped launch the fame of these intense, hillside Mendocino Zins. In 1988, Edmeades was purchased by Jess Jackson, making it one of the first wineries to join the Jackson Family Wines portfolio. Winemaker Ben Salazar, who had previously worked at Carmel Road and La Crema, became chief winemaker in 2012. The Pomos and other Native American tribes settled coastal Mendocino thousands of years ago. The first Europeans to explore the region were 16th century Spaniards. A burgeoning lumber industry brought large numbers of settlers in the 1800s, with Mendocino being declared one of the new state of California's first counties, in 1850. But this resulted also in chopping down most of the Old Growth Redwoods. Following the Gold Rush, Italian-American immigrants came in earnest; the rolling hills and dales reminded them of home. Their names remain on their vineyards, such as Gianoli and Perli. Today, Mendocino County remains fairly remote. 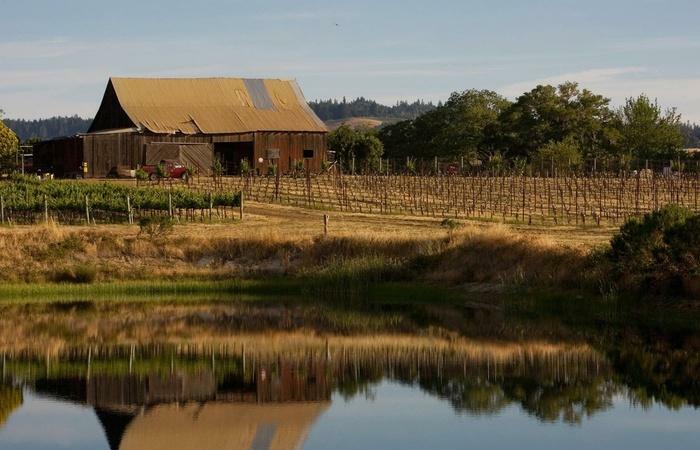 Its wines are usually divided into varieties grown in warmer inland regions, like Zinfandel and Petite Sirah, and more delicate varieties--Gewurztraminer, Chardonnay, Pinot Noir--that thrive in the cooler Anderson Valley.